Overview of branch retinal vein occlusion and central retinal vein occlusion. Arteries bring blood to the eye and veins bring blood back to the heart. While arteries have tough walls which usually become harder with age, veins have thin walls which remain pliant and soft throughout life. Because of the anatomy of the eye, the retinal veins are prone to occlusion. There are two main locations where retinal veins are occluded. One is at the crossing of a retinal arteriole and branch retinal vein. An occlusion at a crossing of a branch retinal arteriole and branch retinal vein causes a branch retinal vein occlusion. The second is at the main trunk of the retinal vein where it leaves the eye through the optic nerve. An occlusion at the main trunk of the retinal vein causes a central retinal vein occlusion. 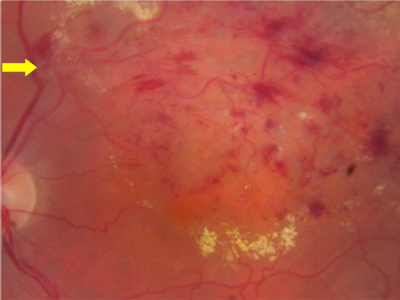 The picture shows a photo with dilated veins and retinal hemorrhages from a fresh central retinal vein occlusion. The inner layers of the retina receive their blood supply from the central retinal artery. The blood returns to the heart through the central retinal vein. Both vessels enter the eye through a small opening in the middle of the optic nerve. Either because this opening shrinks or because the artery hardens or because of circulations problems, the central retinal vein can become partially or completely occluded. When a patient develops a central retinal vein occlusion (CRVO), they lose some or most of their central vision. The retinal veins dilate and their are retinal hemorrhages. Patients often develop swelling of the central retina-cystoid macular edema--causing some of the vision loss. Without treatments, 25% of eyes improve, 50% stabilize, and 25% worsen. Monthly examinations of pateints with CRVO for less than six months are very important. Some patients with CRVO and very bad circulation, develop a severe type of glaucoma. In this situation, the eye becomes red and painful and without treatment, total visual loss can occur rapidly. If an examining doctor sees early signs that this complication may occur, then laser treatment can sometimes protect the eye. Once the pressure rise occurs, surgery can be helpful. DUBLIN--(BUSINESS WIRE)--The "Retinal Vein Occlusion - Pipeline Insight, 2019" drug pipelines has been added to ResearchAndMarkets.com's offering. 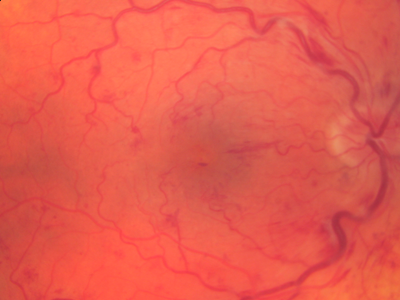 Internal Medicine Article: Retinal vein occlusion is associated with low blood high-density lipoprotein cholesterol: A nationwide cohort study. Researchers suggest that the retinoprotectivity of the ADM-RAMP2 system makes it an ideal therapeutic target for central retinal vein occlusion (CRVO). Global Retinal Vein Occlusion Therapeutics Market Overview, Strategies, Development, Regulations and pin-point Analysis for changing competitive dynamics. medwireNews: The Port Delivery System (PDS) with ranibizumab has the potential to reduce the burden of treatment for patients with neovascular. Shares of Aerie Pharmaceuticals, Inc . AERI have rallied 22.4% in the year so far, outperforming 15.3% growth registered by the industry . The FDA. It has been about a month since the las t earnings report for Aerie Pharmaceuticals (AERI). Shares have lost about 2.9% in that time frame,. Lantheus has collaborated with Cerevast Medical for treating retinal vein occlusion (RVO), a common cause of vision loss across the world. 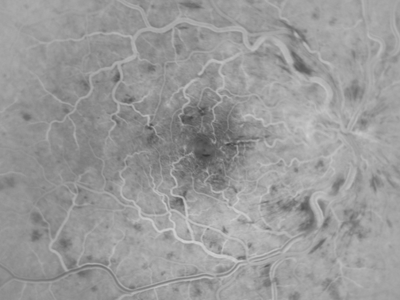 A case report suggests that cystic fibrosis patients have a higher risk of retinal vein occlusions as a complication of their pro-inflammatory status. Thinly traded micro cap Clearside Biomedical (CLSD) is down 27% premarket on light volume in response to its announcement that a Phase 3 clinical trial, SA. In a report released today, Ram Selvaraju from H.C. Wainwright reiterated a Buy rating on Alimera (ALIM – Research Report), with a price target of $2.75. The European Commission's approval of Luxturna for inherited retinal disease was the most-read retina-related article on Healio.com/OSN in November. Eylea represents a significant portion of revenue and will face upcoming competition, which could slow Regeneron sales growth over the coming years. Report Titled “Retinal Vein Occlusion – Pipeline Insight, 2019” provides product and API manufacturers' details across the globe along with the location. A collaboration in Switzerland has developed a challenging passive compliant tool for retinal vein occlusion (RVO).